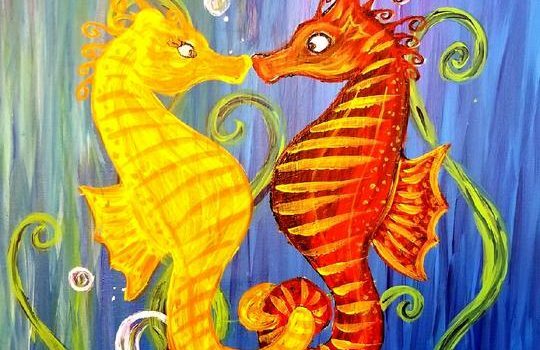 Lazy Beach Brewery – Painting & Pints this weekend! Home Uncategorized Painting & Pints this weekend! Looking for a fun Valentine’s Day gift?! We still have tickets available for our Painting & Pints class this Sunday. 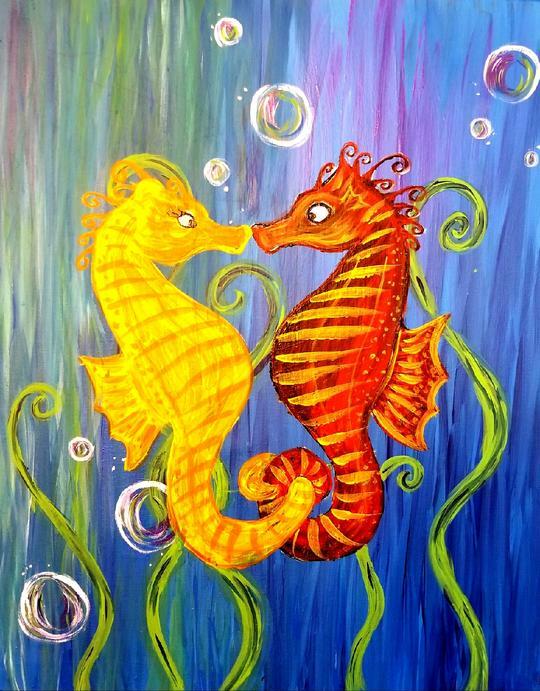 Dawn Dempsey will be leading us in painting the cute Seahorse painting shown below. It’s going to be a blast, grab your ticket before their gone!